Lenses are the eye of your camera. The focal length of a lens (and your point of view) determine how much of the subject your camera sees. You may already be familiar with the basics, and understand the difference between, say, wide-angle and telephoto lenses, but let’s dive into the the topic a little deeper to see what’s really going on. There are four fundamental things to know and understand about the focal length and composition. Field-of-view (sometimes called angle-of-view) is far more important than focal length, because it tells you how much of the scene the lens sees. However, as field-of-view changes according to sensor size, manufacturers tell us the focal length instead. Focal length is a fixed measurement that doesn’t change (it is literally the distance from the middle of the lens to the focal plane, which is the sensor). Here are some practical examples. A 50mm prime lens has a field-of-view of 47 degrees on a full-frame camera. This field-of-view approximates what we see with our own eyes. But what happens when you put the 50mm lens on an APS-C camera (crop factor of 1.6x)? The crop factor of the smaller sensor means that the lens now has a field-of-view of around 30 degrees, making it a short telephoto lens. This change in field-of-view means that you have to move further away from your subject in order to fit it in the frame, which also changes the perspective (giving the compressed effect that characterizes short telephoto lenses). If you want the equivalent of a 50mm lens on an APS-C camera you need to use a focal length of around 31mm, as it has the same field-of-view (47 degrees). A prime lens with that focal length doesn’t exist (you could choose between a 28mm or a 35mm depending on whether you wanted a slightly wider or a tighter field-of-view), but you can set that focal length if you have a zoom. 50mm lens, full-frame camera. The lens has a field-of-view of 47 degrees. 50mm lens, APS-C camera. The same lens has a field of view of 30 degrees with this camera. The same applies to wide-angle lenses. A 21mm prime lens has a field-of-view of around 92 degrees. That’s a nice wide field-of-view ideal for landscape photography, or creating images with dramatic perspective. To get the same field-of-view as the 21mm lens (on a full frame) you would use a 14mm lens (on an APS-C camera). This photo was taken with a 14mm lens on an APS-C camera. It has the same field-of-view as a 21mm lens does on a full-frame camera. It’s even possible to have two lenses with the same focal length, but different fields-of-view (on the same camera). A 16mm wide-angle lens has a field-of-view of 107 degrees – but a 16mm fisheye has a field-of-view of 180 degrees. They have the same focal length but each one is designed for a different purpose. The 16mm wide-angle is designed to keep straight lines straight. The fisheye doesn’t try to do that, and as a result has a much wider field-of-view. 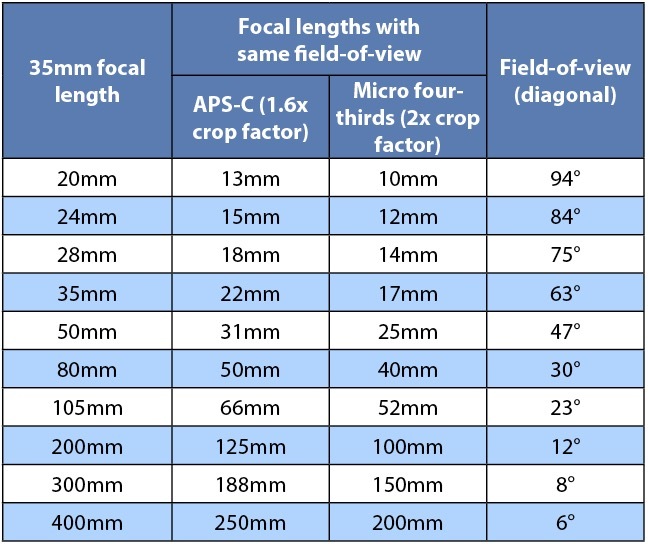 This table shows the field-of-view of common focal lengths with full-frame, APS-C and micro four-thirds cameras. The next points explore the relationship between field-of-view and composition. You can think of any lens with a field-of-view wider than around 63 degrees as being a wide-angle. That’s 35mm or shorter on a full-frame camera, 20mm on APS-C, and around 18mm on micro four-thirds. The wide field-of-view means that you have to move in close to your subject to fill the frame. But, at the same time wide-angle lenses also include quite a bit of the background. 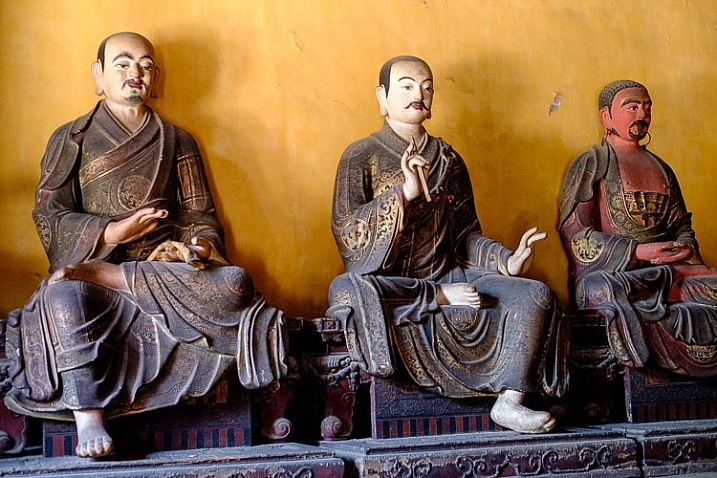 The shorter the focal length, the closer you need to get, and the more background is included. 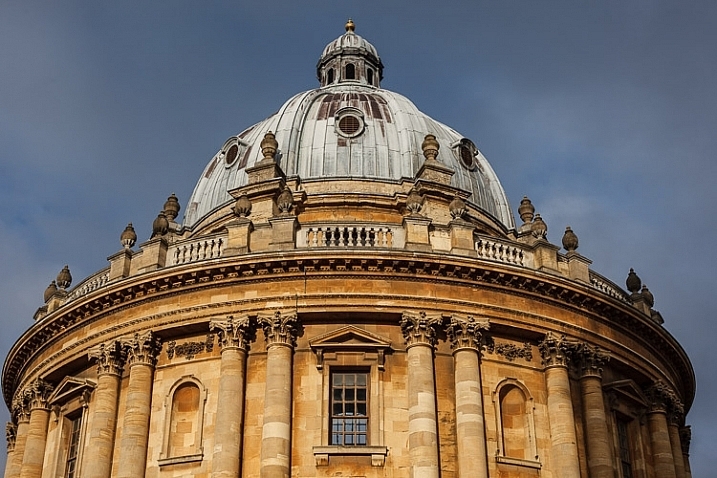 Wide-angle lenses also appear to have more depth-of-field at any given aperture setting than longer focal lengths (they actually don’t, it has to do with lens to subject distance which also changes with focal length). 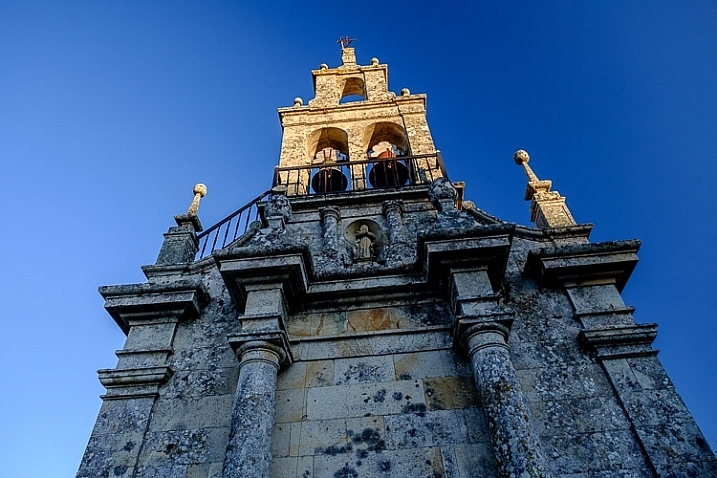 These two factors combine to make wide-angle lenses, ones of inclusion. You can always fit more into the frame with a wide-angle lens, no matter how close you get to your subject. The background is also more likely to appear more in focus, than it is with longer focal lengths. Getting in close, creates the dramatic perspective that some photographers love. It emphasizes line, and creates a sense of depth, that images taken with longer focal lengths can lack. The slightest change in your point of view makes a dramatic difference to the composition of the photo. The shorter the focal length, the more this applies. As wide-angle lenses include so much background it can be difficult to simplify the composition and remove all distractions. There’s no way around it, it’s just a characteristic you have to embrace. 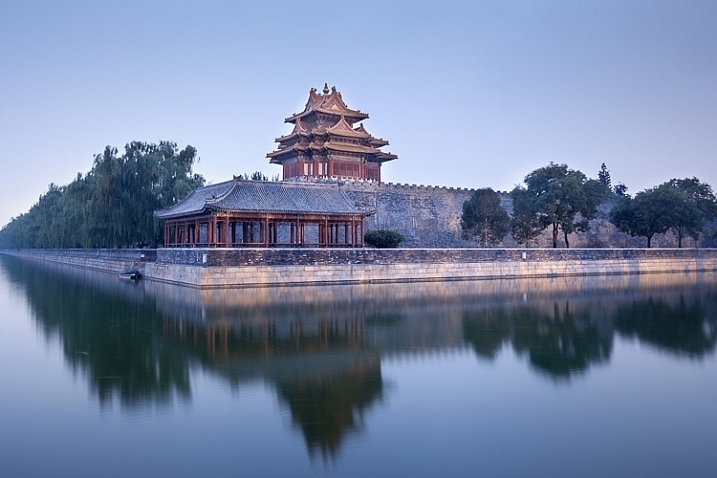 This photo, taken with an 18mm lens (APS-C), includes the buildings, the city wall, the reflection in the water, the city trees disappearing into the distance, and keeps everything in sharp focus. A telephoto lens is one that has a field-of-view of around 30 degrees or less. That’s around 85mm or longer on a full-frame camera, 50mm on an APS-C camera, and 40mm on micro four-thirds. Telephoto lenses are ones of exclusion. They have a narrow field-of-view. Fill the frame with your subject, and you won’t get much background in at all. 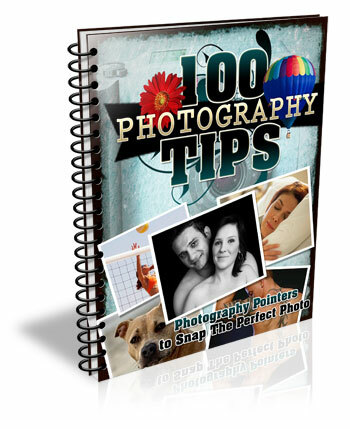 It is also easy to throw the background out of focus by using a wide aperture, and making sure there is sufficient distance between your subject and the background. 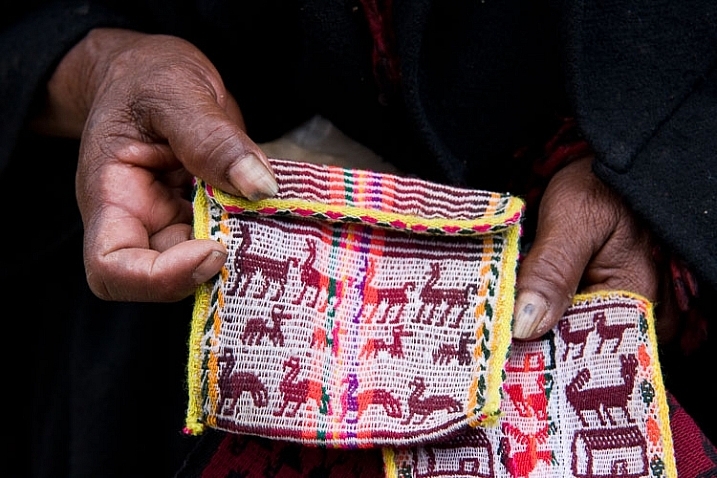 This photo, taken with a 50-150mm lens set to 72 mm (APS-C), shows the woman’s hands and the textiles she is selling. There is not much in the background at all. Normal lenses, those with a field-of-view somewhere around 55 degrees, occupy the middle ground between wide-angle and telephoto. They don’t create images with the dramatic perspective that you can obtain with a wide-angle, nor do they exclude the background to the same extent as telephotos. If you have a normal prime lens you can open the aperture up to defocus the background, sometimes quite dramatically if you get close enough to the subject. But, you can also often stop down enough to get everything within the frame in focus. I took this photo with a 35mm lens, a normal lens on an APS-C camera. It lacks the dramatic perspective, and wide field-of-view of the photos taken with wide-angle lenses. But it includes more of the background and shows less compression than the photos taken with telephoto lenses. Can you think of anything else that photographers ought to know about focal length, field-of-view, and composition? If so, please let us know in the comments. I’d like to hear your thoughts. 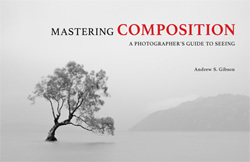 Note: this is the second in a series of articles on dPS this week talking about composition. See: Using Framing for More Effective Compositions and look for more over the next few days. The post 4 Things You Should Know About Focal Length and Composition by Andrew S. Gibson appeared first on Digital Photography School. Previous Post: What Skills do You Need to be a Travel Photographer?